Score Basketball is the one and only place that you can find the official private basketball lesson coach of choice for Tulsa Shock member Glory Johnson. It is the only place that you’ll find Coach Don Calvert, who has over 15 years of coaching experience. If you’re looking to push yourself to your full potential and strengthen the areas of your game that are weak you have come to the right place. Our coaches and our methods have been endorsed by Oklahoma State Hall Of Fame basketball coach and legend, Coach Eddie Sutton. Call today to start getting better now at 918 – 955 – 7160. 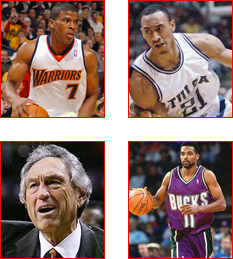 Score Basketball has been coaching players all throughout the Midwest and the country for over two decades. We provide every player with a state-of-the-art facility with brand-new basketballs, a newly refinished basketball court with the Score logo right in the center and NBA style goalpost. Our coaches are dedicated, committed and passionate about seen players rise to their full potential. If you are a basketball player and you are ready to work hard then join us here for private or group basketball lesson at Score Basketball. Coach Calvert was personally mentored and trained by Coach IBA. He was also taught by Coach Bliss, who was personally mentored by Hall Of Fame Basketball Coach Bob Knight. His methods take basketball lessons and life lessons and join them together to make one of the top qualified teaching systems in the Midwest. It’s been endorsed by NBA athletes, NBA superstars including Shea Seals of the LA Lakers and by Hall of Fame college basketball coaches. Coach Calvert has the ability to turn any player from good to great. We focus on the skills and the drills that are going to improve your speed and your mental capacity to handle pressure on the court. Our focus is to build well-rounded players that not only have the physical attributes needed but also the mental capacity to handle any game no matter what. Our mission is to go after the players who are willing to work hard and go far beyond their comfort zone. We address your weak points and we make your strengths even stronger. Working with Coach Calvert is going to make you a better player. This is your opportunity to come to the number one training facility and the home of the official private basketball lesson coach of choice for Tulsa Shock member Glory Johnson. We have camps, lessons and coaches available for all players. We guarantee you will not leave the same basketball player that you were when you walked in. Allow us to help you meet your goals today. 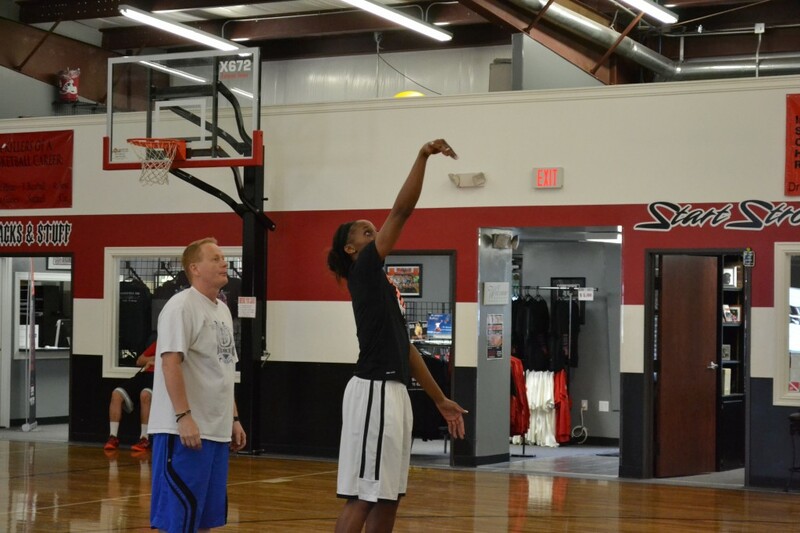 Score Basketball has been coaching players and providing them with quality training for over two decades. Our coaches and their methods have been endorsed by Oklahoma State Hall Of Fame college basketball coach Coach Eddie Sutton. We have been pushing players to reach their full potential and strengthening their weak points for 20 years. If you’re looking to get better as a basketball player no matter what level you are at you have come to the right place. Call us today at 918 – 955 – 7160. Coach Calvert has helped strengthen areas of players games for over 15 years. He has also personally trained Shea Seals of the LA Lakers and University of Tulsa. Shea will tell you that no one pushed him further and made him better than Coach Calvert. He learned his methods and developed this system that was inspiration by his personal mentor Coach IBA. He is a legendary and an award-winning basketball coach. You can improve your speed, your skills and your mental capacity on and off the court with our system. We teach you not only how to a dribble a ball but increase your mental capacity to handle the pressures on the court. This comes in handy if you go on to play for the NBA or college ball. We understand the stress that can happen during a game and you need to keep your mental attitude high and well-adjusted if you are to take that final winning shot. Coach Calvert is the official private basketball lesson coach of choice for Tulsa Shock member Glory Johnson. If he is good enough for Glory Johnson, is good enough for you. We understand that it’s not just about the game of basketball. But how you conduct yourself outside of the court has everything to do with how you handle ball and how you treat your teammates. That is why we also teaches life lessons along with basketball lessons. We are not just improving players but we are improving people one lesson at a time. We also sit down with you after every private lesson to discuss what you did well and what you need to work on. You receive a full evaluation at the end of every lesson. If you’re ready to help your game go to the next level and strengthen all of your weak areas give us call today. You can get better now by calling us or register online. Begin the first day of the rest of your life and grow into the basketball player you always dreamed about. Many of our students have gone on to receive full ride scholarships in top universities all across the country. Call today for more information about how you get started.